Do you have a Question not listed here? Contact Us with your Question. You must be a registered user to post photos. Once you have registered, go to the appropriate page under the Crappie Photos section. At the top of the page is a button to browse for your photo, then add a description underneath it. After you are ready to post your photo, click on the Post Photo Button. How do I Report a Problem Link or Inappropriate User? Please submit all Problem Links or an Inappropriate User on our Contact Us page. Please leave a message on what the problem is and the URL or link page it is on. You must first register and be logged in to post comments. Then proceed to the Page or Post you would like to comment on. Below the Page or Post you can leave your comment. How do I Post Articles, Events, News or a Press Release? Please submit your Article, Event, News or Press Release through our Submission Page. Follow the on screen process and press the submit button at the bottom right of the page. Please note that all the areas marked with the red asterick (*) sign needs to be filled in. From any page on the website. Click the REGISTER button/tab and fill out the information. *Please note all your personal information is kept confidential. It will not be shared with any other outside source. In order to keep this website on the internet, we have to provide a source to earn income. 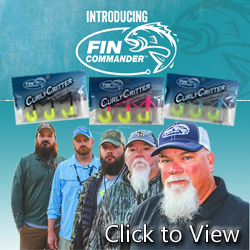 Ads allow Businesses related to Crappie & Crappie Fishing to promote at a cost to them. This keeps the website Free to users like you. So PLEASE support businesses that are on CrappieCrazy.com and let them know you appreciate their advertising on the website. YES! Yes it is free to use this website. Although we do charge for Membership Upgrades for specialized content, promotions and giveaways to help keep CrappieCrazy.com Online. How do I Publish My Business/Website Listing in Other Categories? Each Business/Website has ONE (1) FREE LISTING courtesy of CrappieCrazy.com. If you would like to have your Business/Website Listed in other categories you must upgrade from a Free listing to our Basic, Silver, Gold or Platinum Package. Details on all Packages can be found HERE. How do I Add My Business/Website to CrappieCrazy.com Listings? Anyone can add a Business/Website Listing. But we recommend if its not your Business/Website to email us and we will add it for you. Here is how to add a Business/Website. Click on the More Links button>then click on the Submit Website button>then under free listing select the Select Plan button. Fill out the form to the best of your knowledge. All the areas marked with a RED ASTERICKS will need to be filled in. Submit the listing and we will confirm the information then post the Business/Website Listing. *Please Note: If it is not a Business/Website related to Crappie or Crappie Fishing it will not be submitted into our Listings. How do I claim My Business/Website Listing? Find your Business Listing. At the top of your listing it will say, "Does this listing belong to you or your company?" Click on the Claim Listing button. If the email you registered with matches the email in your Business Listing it will automatically add the listing to your account. If your email does not match the Business Listing email you will receive this error message. "This listing could not be claimed because the email address on file does not match the one on your account." Does it Cost to Have My Business/Website Listed Here? NO! 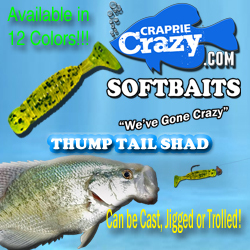 We provide a Free Service and a Free Listing to all Businesses/Websites related to Crappie and Crappie Fishing. It only costs if you decide to upgrade your Business/Website. Additional Fee information for upgrades can be found Here. Why is My Business/Website Listed Here? Your Business/Website is listed here because it is public information via the internet. All Content listed is the Property of the Business Owner. Changes can be made by creating an account and doing it yourself or requesting us here at CrappieCrazy.com to do so for you. To remove your Business/Website Listing from CrappieCrazy.com please send a "request to remove listing" and we will gladly remove the listing. You must provide sufficient information that you are the owner/overseer along with the appropriate contact information.